Today we release the new report A Tale of Two Laws; here’s a summary of its key findings. The US Lacey Act prohibits trade in wildlife, fish and plants that have been illegally taken, possessed, transported or sold in violation of any foreign law that protects plants. The European Union Timber Regulation (EUTR) prohibits the placing of illegally harvested timber on the European market and puts an obligation on anyone first placing timber products on the EU market to conduct Due Diligence on their supply chain. Due Diligence is used to identify and mitigate any risks of illegality; where risks cannot be mitigated to a negligible level, the timber cannot legally be placed on the market. Both laws are important tools in the effort to tackle illegal logging globally. 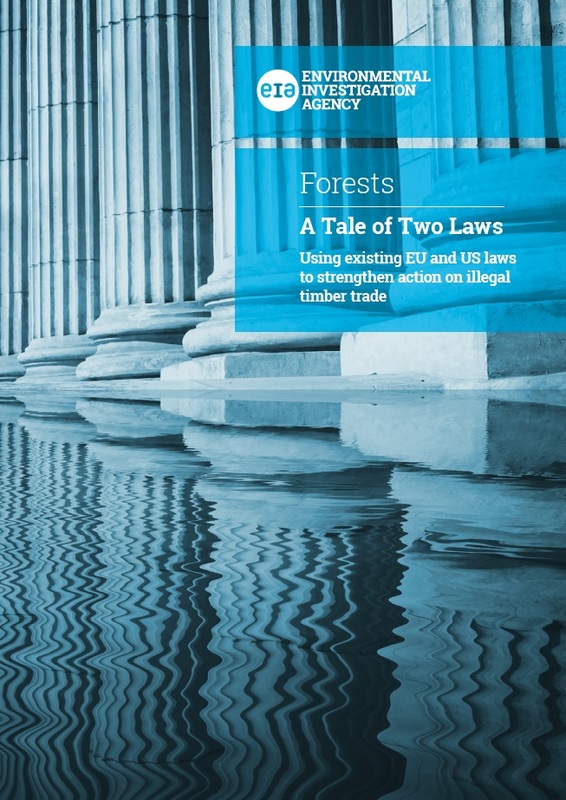 Over the past year, EIA has identified and explored the previously unrealised fact that the US Lacey Act prohibits timber sold in violation of the EUTR, as a ’foreign law‘. This means that placing wood on the EU market in violation of the EUTR is a predicate offence under the Lacey Act and any EU products containing such wood become contraband when exported to the US. The insight has significant implications, extending legal and/or commercial risks and liabilities to virtually all actors in the entire supply chain of any EU product incorporating timber traded to the US. These liabilities extend to companies not regulated by either the EUTR or Lacey, resulting in the ‘supercharging’ of these laws in the global fight against illegal logging. The need to reinforce the EUTR certainly exists as large volumes of illegitimately traded timber remain available on the EU market. For example, EIA investigations have exposed widespread use of EUTR non-compliant Burmese teak in Europe’s superyacht and megayacht industries. EIA is calling for changes to the EUTR to both make this timber easier for companies to identify and avoid, and to give authorities more power to remove non-compliant timber from the market. EIA has investigated the supply chains of two major British yacht manufacturers, Princess Yachts and Sunseeker Yachts, and has submitted EUTR cases against the companies responsible for the “first placement” of the Burmese teak on their yachts – resulting in these companies being found in violation of the EUTR. 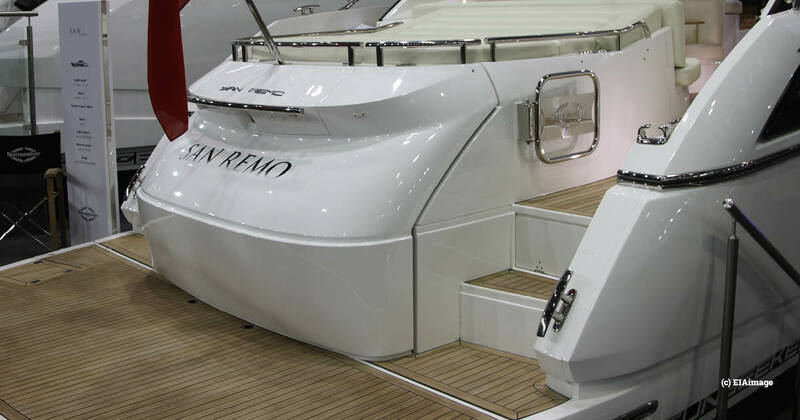 EIA has further identified where these yachts have been exported to the US and the key distributors for each brand in that country and has forwarded this information to the US Department of Justice. Civil society organisations, businesses and governments alike can use the reciprocity between the two laws to bring dramatically increased accountability to illegal and high-risk timber supply chains in the EU and US in powerful and innovative ways – all without changing a single word of the law. You can read A Tale of Two Laws in full or below. French, German, Italian and Spanish language versions of the report are also available.